The following links and resources are provided to assist you on your grief journey. These include links to the National TCF website as well as links recommended to us that bereaved families have found helpful. 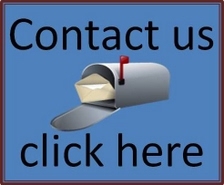 Please contact us if you find a link inactive or incorrectly re-directed. Below are links to YouTube videos. YouTube videos come and go. Some of the links below might be broken. To find a version of these or any other songs just do a search for the title and at least part of the artist’s name in the YouTube search box (http://www.youtube.com). Also keep in mind that some of these videos come with commercial beginnings and some videos might have a video display that might be disturbing to some. This is true of "Broken" which depicts an automobile accident at the end of the video. Poetry, whether reading someone else’s poems or writing your own, is often a very personal thing. Below are some links to online poetry on child loss, most of which was written by parents or other caregivers. We’ve also included some sites that give basic information on writing your own poetry.